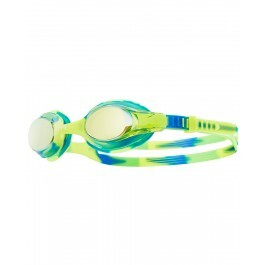 Start your child's swim adventure off right with TYR Kids' Swimple® Mirrored Tie-Dye Goggles. Constructed with durable, hypoallergenic silicone gaskets, LGSWTDM goggles are ultra comfortable and come in an array of fun colors. In addition, all Swimple® goggles feature optical grade, polycarbonate lenses with anti-fog and UVA/UVB protection, a secure release button for quick and easy strap adjustment and a small, unibody frame to accommodate various face shapes. 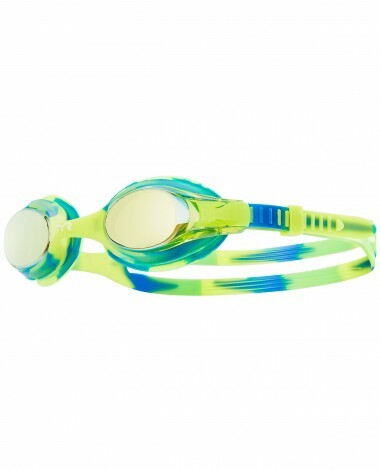 All TYR kids’ goggles have been tested and approved in accordance with the Consumer Product Safety Commission's guidelines.